Sprinkle the gelatin evenly over 3 tablespoons of cool water in a small bowl. Set aside to soften. In a medium saucepan, heat the coconut cream and coconut milk over medium heat until the sides begin to bubble. Lower the heat and whisk in the softened gelatin, stirring to make sure it is completely dissolved. Fill a large bowl with cold water. Strain the coconut mixture into a bowl that will fit easily into the bowl of water. Set into the bowl of water to cool, stirring every few minutes with a rubber spatula until the mixture starts to thicken. If the mixture starts to set, remove it immediately. Remove the bowl of coconut mixture from the bowl of water. Empty out the water and wipe the bowl dry. In the dry bowl, stir the cream and caster sugar together until the sugar is dissolved. Stir into the coconut mixture. Divide the coconut mixture evenly among 6 custard cups or ramekins. Chill until firm, at least 4 hours. 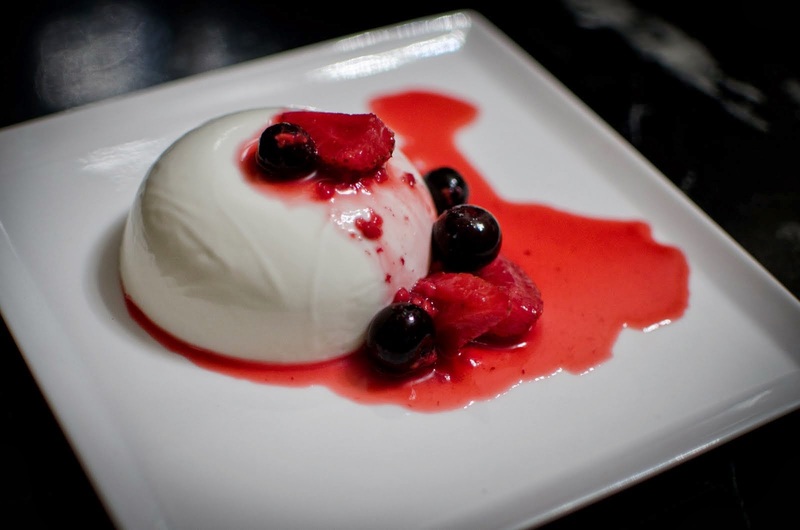 To turn out, dip the panna cotta moulds, one at a time, into a bowl half-filled with hot water. Leave for about 5 seconds. Invert each panna cotta onto a serving plate.